Ngo Family Farm: meet "Spring"
I'm not quite sure what sort of late-pregnancy induced insanity possessed me to go searching on Craigslist for a goat in milk just shy of two weeks from my looming due date. 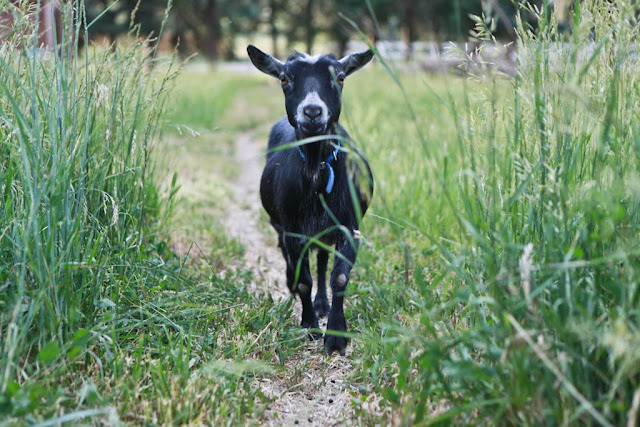 We have talked about keeping goats for milk ever since we moved here, but the timing and our lack of experience seemed to always have us rationally deciding on saving that step for "next year." But sometimes it's only the irrational actions that actually lead to progress. And the fact that I found a sweet couple who needed to (but didn't really want to) sell their experienced milking goat for a very reasonable price. Which found my husband driving our car to a small town 45 minutes away with no cell service the day before (unbeknownst to me) I would go into labor. He made it back with our new Nigerian dwarf goat, Spring, in the back hatch that late afternoon day. The next morning found me in the hospital, and my poor husband rushing back home for a bit to finish building a milking stanchion, and to get Spring milked properly before returning to be at my side. Certainly everyone (ourselves included) thought we were nuts. We're used to that, though, and it is probably true that the timing could not have been any worse! It is truly my life lesson - that I am not in control of as much as I'd like to be. When babies decide to enter this world is a mystery even to the most trained scientists. 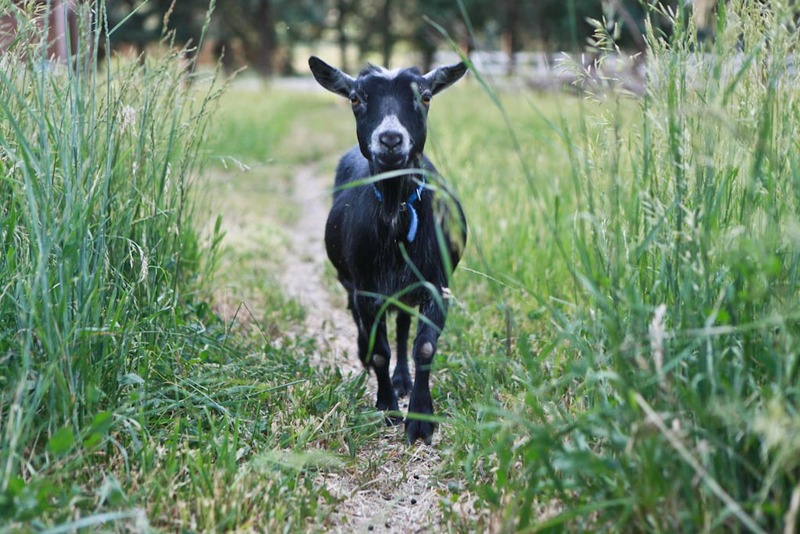 And when goats decide to appear into your life is one too, as far as I'm concerned. But nevermind all the drama that led to this very day. For today, I have the sweetest, most mild and gentle angel baby in my arms, and a happy, productive goat with a spring in her step just outside my window. Thank you all so very much for your kind words and well-wishes for our growing family. I feel blessed to have you share in the joy of our son's birth! Awww...Spring is cute! Your new baby boy is cute too! Your family is thriving. Oh, you are crazy too? I'm always coming home with an extra friend and though we live rurally we only have a regular sized yard. Haha. It's never just the right time for a baby or a goat but both are a blessing and joy when they do come! Life sometimes NO most of the time is better if we just go with the flow even when it appears NUTS or that this was not according to your plan. Everything comes when it should even when we have not way of processing the reason. Congrat's on all the new souls in your heart and on your farm. Hugs to all. Oh, congratulations on the new goat! I love what you said about irrational actions often do lead to progress! - so true:) We are picking up a nigerian dwarf buckling soon so that we will hopefully be milking in the spring. Yep. Irrational actions. I get that. That's how I ended up with three chickies in a rubbermaid tub in my basement. Congrats on this new addition as well. Oh yay! Congratulations on Spring! Can't wait to see how she fits into the fold of your lovely little homestead and growing family! Maybe crazy-good. What a lovely doe! And how lucky to find an experienced milker who is patient and sweet. It's all nothing less than you deserve! Happy milking to your growing family!!! Sometimes one just has to take the plunge because there are always going to be compelling reasons to wait until "the right time." Sometimes the right time is just NOW. How positively WONDERFUL!!!!!!!! Nobody understands half of what we do, either :) Good for you! CONGRATULATIONS - on the goat, but mostly on the new babe in your worlds! Doesn't she look like fun! 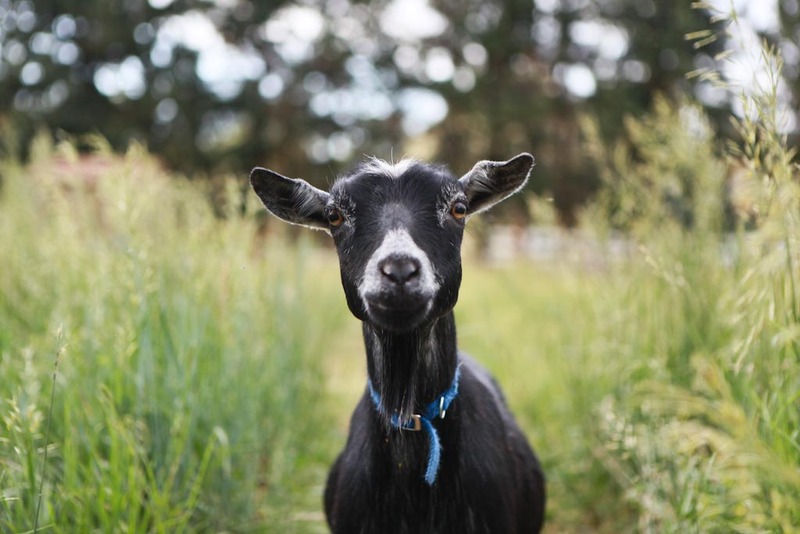 I keep holding off in the goat department too, but in the back of my mind I know that as soon as the right situation appears I'll be bringing a goat home...then scrambling to get her settled. Another congratulations! She's so pretty. And hurray for goat milk! Jaime, I sort of checked out of the blog-o-sphere this Summer (we got so busy!) and I completely missed that you had a baby! I must have known you were pregnant... :/ But somehow this post took me completely by surprise when I clicked on it's link in your most recent post. Congratulations!! On your baby boy, and your irrational progress. It's the way I function, too. I get impatient waiting for the "right" time, and do big dramatic things at exactly the wrong time. Ha! But at least it gets done! !